A grandmother’s special treat. Gingersnaps made for weary travelers by a generous pioneer woman. A cake from home that comforted a soldier during World War II. These are only some of the recipes found in FAMILY RECIPES FROM THE SNAKE RIVER PLAIN, which brings together favored dishes from people who call Idaho home. There’s even an ode to fry sauce. What makes this collection so unique is the stories about the recipes. How potato pancakes got people through tough times. Two sisters’ Milk Toast. A grandmother’s special yellow bowl. The Great Zucchini Wars. How onions saved a family in times of hardship. 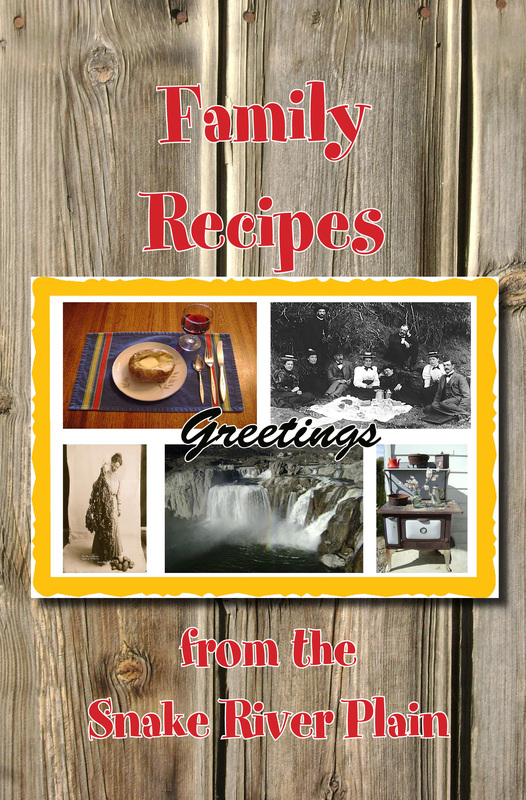 Heartwarming and entertaining, these family recipes and the stories behind them show what makes the Snake River Plain so special. The book features the work of 27 regional writers. On sale now at Amazon.com for $9.99.